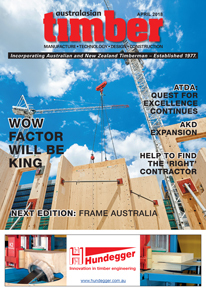 Australasian Timber Magazine covers the timber industry from timber coming in from green mills through to the finished product going into construction and manufacturing. All the latest news, association updates, equipment, personnel movements and events. Published eight times per year, we have regular sections on subjects such as panel and flooring production, increasingly well supported classified pages and special features on everything from saw and knives to material handling and freight to Finishes and preservation. 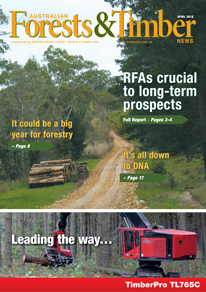 We have all you need to know about what’s happening in timber processing and wood products manufacture with a special emphasis on treatments and engineered products. Over 4800 hits per month!